The fastest and most through WiFi LAN Scanner available! 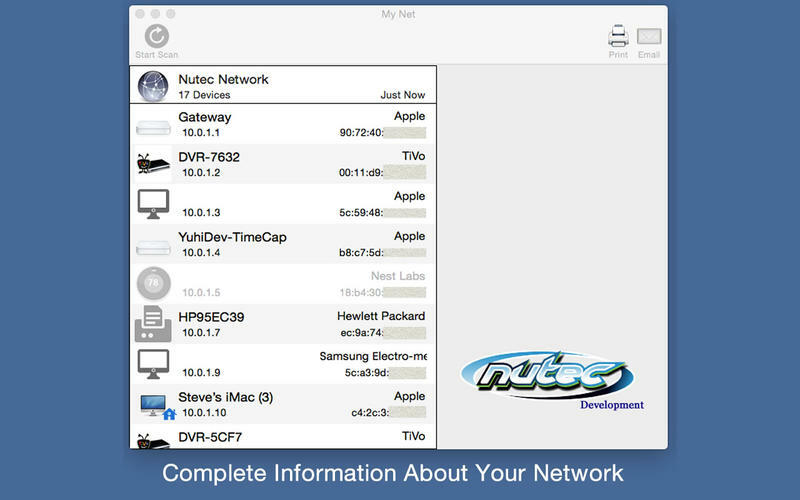 See whats all connect to your favorite public WiFi network or your home network. This all-in-one information appliation is an extremely fast and thorough security solution for every user. LAN Scan is an application developed for Network Administrators and IT Managers but presented in a format targeted for non-professionals. 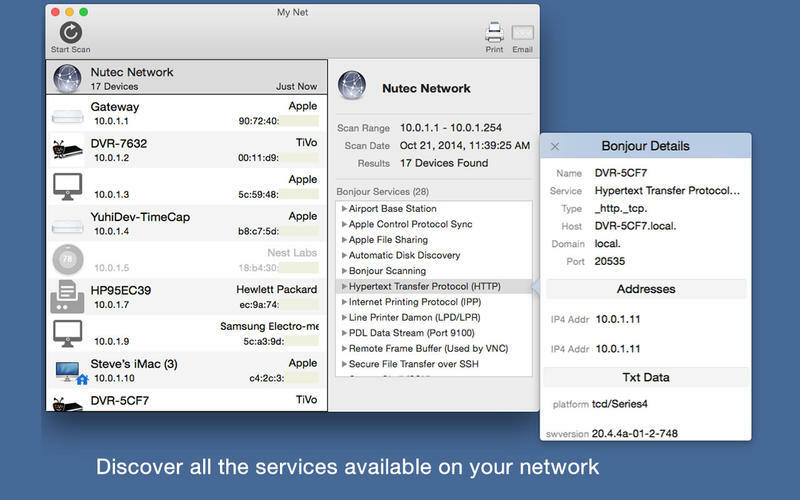 This application allows you to view information about all the devices on a local network. Network devices are displayed in a very logical and convenient format for displaying the most pertinent information about each device. 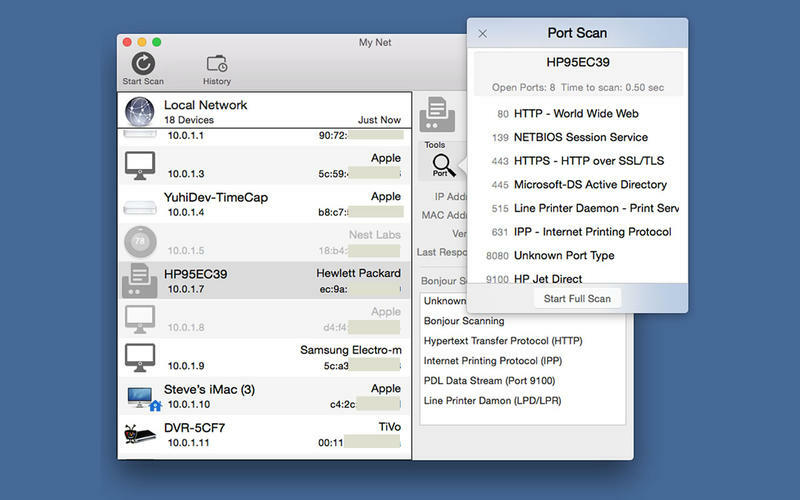 TCP Connect LAN Scanning: establish a TCP connection with each IP address on the network. ARP table Scanning: The ARP table is scanned for any devices attached to the network that do not respond to a TCP connect. Also includes NetBios Scan, Bonjour Scan, Port Scanning and Pinging.